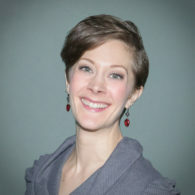 Jaci Cummings is a graduate of Central Washington University, Pacific Lutheran University, with both Master’s and Bachelors degrees in music education. A proponent of servant leadership and music education advocacy, Jaci is also currently working with the Washington Music Educators Association, coordinating professional development opportunities and financial assistance for student events. Having previously worked at all levels, Jaci brings over ten years of public school teaching experience. While living in Boston, she helped create a solfege-based curriculum with the then-emerging Boston Children’s Chorus. As a performer, Jaci is regularly hired for soundtrack recording sessions, previously sang with the Seattle Symphony Chorale, and currently sings with a Last Call, a Seattle-area vocal jazz group comprised of music educators, directed by Kelly Kunz. Jaci recently moved to Edmonds, with her husband (a NW Choirs alum, and also a professional singer!) and two daughters. She enjoys yoga, sewing, traveling, and a great laugh.